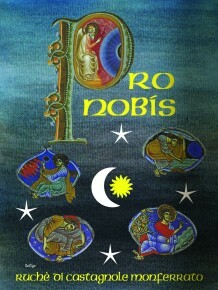 Pro Nobis is Ruché at its finest, the result of a careful selection of the best grapes in the vineyards. The blend of aromas alternate in an indescribable array of colors, scents, tastes, and sensations. It is elegant, well structured and spicy. Pairs well with game and spicy dishes such as Thai or Indian cuisine. Ruchè is a variety of Piedmont that has risen from virtual obscurity as a little-known, dark-skinned variety to having its own appellation, Ruche’ di Castagnole Monferrato, elevated to DOCG status in 2010. Its origins are disputed, with some claiming Ruchè as indigenous to the region, while others claim it has Burgundian roots. Destined for family consumption in the past, it was the wine of ‘important occasions’, offered to the nearest and dearest, always associated with life’s beautiful moments. At the turn of the century, there were just 125 acres (50ha) of Ruchè planted, making it one of the most exclusive wines made under any Italian wine title, DOC or DOCG. Its elevation in status has signaled the resurgence in popularity for this vine. 2013 figures show up to 123 hectares cultivated to Ruche’ with over 600,000 bottles produced by a little over 20 producers. Vinification in stainless steel, then transferred to French oak casks to finish fermentation. Then more time in steel until bottling.